Oh yum - you have me thirsty now, and its still a while before I can break for dinner. 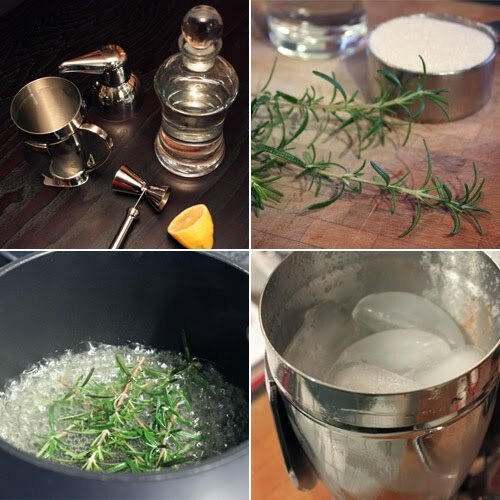 I love making flavored simple syrups, and rosemary is a favorite of mine. Thanks for the primer on sours. Bottoms Up! May I have a glass pls? Oooo...I just looked at the clock and just about happy hour right now. This is just what I need. Until I read your post I was a pure traditional MARTIN gal. You have corrupted me...YAY!! Love the idea of the rosemary syrup. I bet that would be awesome in a lot of glam cocktails. And since I have a rosemary plant outside my door, I might just have to make a batch of that. Lisa, You make both of these cocktails look very tempting! The photos are stunning! Both cocktails look so very tempting! I love it, the first looks "snowy" which is so appropriate right now. It also looks very grown up, cocktail party which I like. You've put this together in a way that looks so simple, but so beautiful at the same time. Fabulous! Looks great--I have a ton of rosemary growing in the back yard. I also have a ton of gin "growing" in my bar. 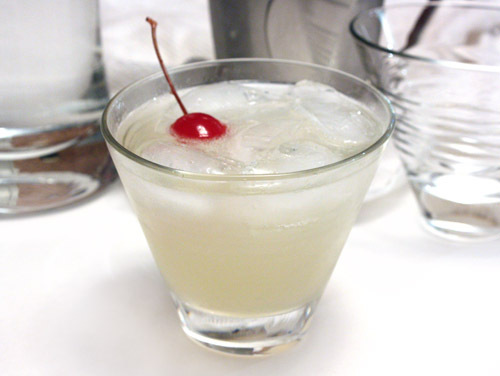 You should check out the floating (online) cocktail party Mixology Monday the next time you feel like testing those bar skills. i don't really know the first thing about cocktails in general, much less whiskey or gin fizzes. in fact, the only time i ever think about such things is when i'm doing a crossword puzzle and the clue is *blank* gin fizz. the answer is always sloe. A fabulous drink! Especially with the rosemary syrup, very nice! My husband and I went through a cocktail phase a few years ago and worked our way through some. I think it's time to get that book, and start a new phase! What a tempting cocktails Lisa. I don't think I ever had drink with rosemary before. Must taste awesome. I love the lemon and rosemary combination. Looking at the top picture makes my mouth water - literally - probably because I read the word sour right before I looked at it. love the addition of the rosemary - your cocktails look amazing! Mmmm yumm I love cocktails with eggwhites. Something about them softens the harshness of the alcohol so it makes it easy to put down 3 or 4 of these. I think I need to check this book out as I'm in the same boat as you with needing to taste and adjust. I've never heard of a fizz! What an interesting drink! My dad used to always drink whiskey sours and would make me virgin whiskey sours (which I guess would just be called "sours" haha) to drink so this post made me smile. Sounds delish. But the thing that stands out to me is that I haven't seen crescent-shaped, ice maker ice cubes in a very long time! What a cool book, I'll have to check it out because we always make boring old gin and tonics! A woman after my own heart! I know I would love that rosemary syrup, as I love Hendrick's gin and it has that sort rosemary/cucumber infusion. mmm! 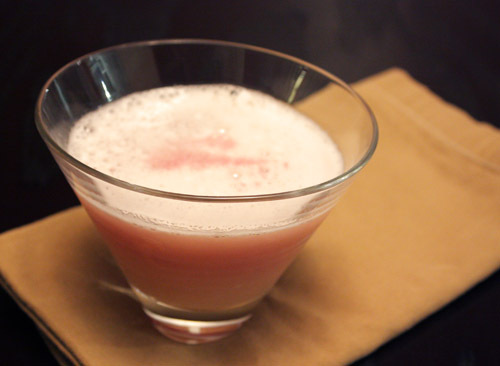 I'm drawn to the drinks that have the word sour in the name. Some have sweet tooths. I have a sour tooth? Got it from my mom.